SY-VM107-N Round Cool Touch Thermostatic Riser Shower - Only £144.99! In stock now for just £144.99 including VAT! Hurry while stocks last! The SY-VM107-N Round Cool Touch Thermostatic Riser Shower is highly popular thanks to its traditional, timeless looks. Styled with an eye-catchingly vintage flair, this superb shower will look good in any bathroom. Featuring a sleek, slimline shapes and elegant chrome finishing, this round thermostatic shower will steal the show in any bathroom. 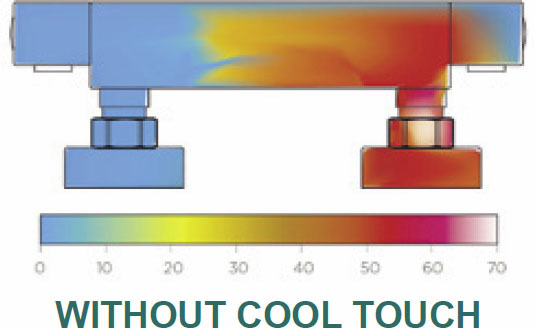 Another great feature is the Cool Touch technology incorporated within the shower valve, which keeps it cool no matter how hot the water is going through it. It is a mixture of the above which makes this one of our fastest-selling showers. 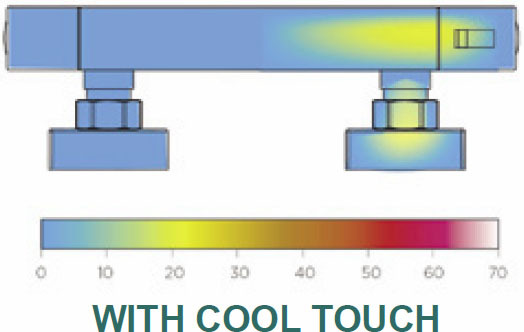 Unlike traditional exposed shower mixers, Cool Touch showers include a cooling barrier between the inner and outer layers of the shower mixer valve, which ensures that it remains cool to the touch regardless of your chosen water temperature. This provides a much greater degree of safety for you and your family. The SY-VM107-N Round Cool Touch Thermostatic Riser Shower is the perfect addition for any bathroom. 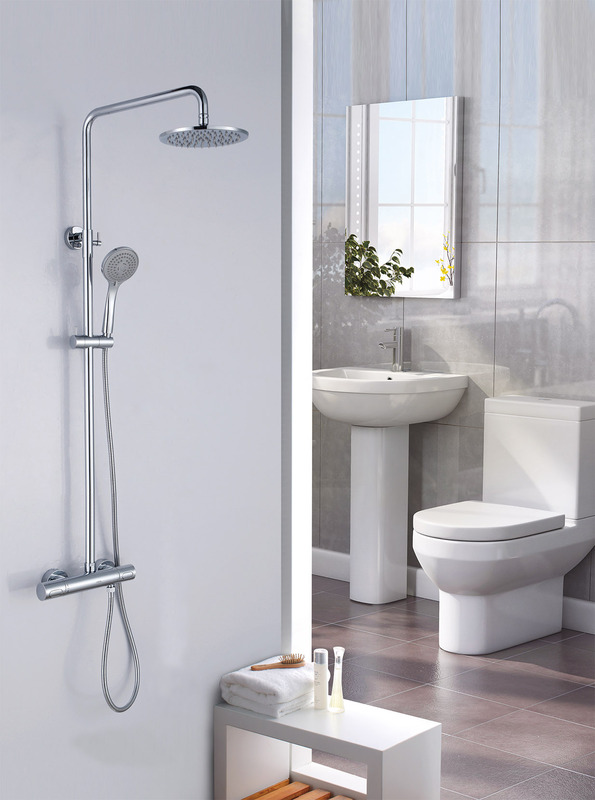 With our range of showers and trays you can create the perfect sanctuary in your bathroom.